The customer journey should be divided into two phases: pre- and post-download. Encouraging customers to download the app to their smartphones is not enough. According to Apple, 800 apps are downloaded every second from the App Store; however, nearly 22 percent are never used more than once! Those stats are not going to impress your boss. So, how do you engage users once they have downloaded your app? First and foremost, as we always educate our clients, the user experience must be logical and engaging to create stickiness. It can't be an afterthought. Beyond the UX, there are a lot of tactics that can be leveraged depending on the variables at play: target, budget, security issues and industry among others. The key is planning for these tactics before launch and adjusting them based on actual usage patterns and defined user segments post-launch. One tactic that is extremely successful is in-app and push messaging. Understanding the difference in the two and how/when to leverage each is critical. Localytics has a variety of resources that summarize the basics of both, and the table below is another helpful quick reference guide. In-app messaging happens when the user is actually in the application. It is a great way to share important information and updates while your brand is top-of-mind to encourage further engagement. 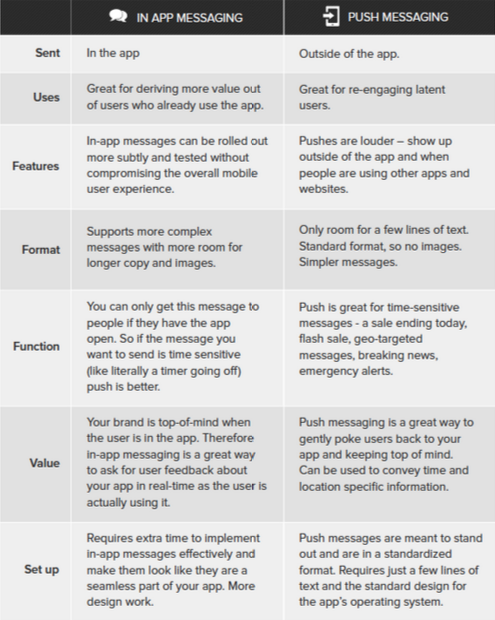 Push messaging is often leveraged in conjunction with an in-app messaging strategy to help drive awareness and usage of your app, which is likely one of 50 on your users’ smartphones. When do you use one vs. the other? I recommend using both to effectively target your different segments. Each has a different purpose; sending the same message through both forms of notification will be annoying and counterproductive. Be as personal as possible. In-app messaging and push notifications can easily be recategorized as ‘spam’. Ensure your messages are relevant to the user and context. Leverage in-app analytics for guidance. Make sure the message benefits the user. 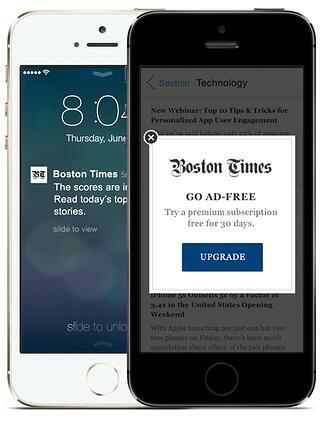 Offering a discount or creating awareness of new features are great examples. Understand your segments. Certain segments might react differently to one type of messaging versus the other. As yourself, “What motivates each segment?”. Life After Launch is a key element to your app’s success and shouldn’t be an afterthought. 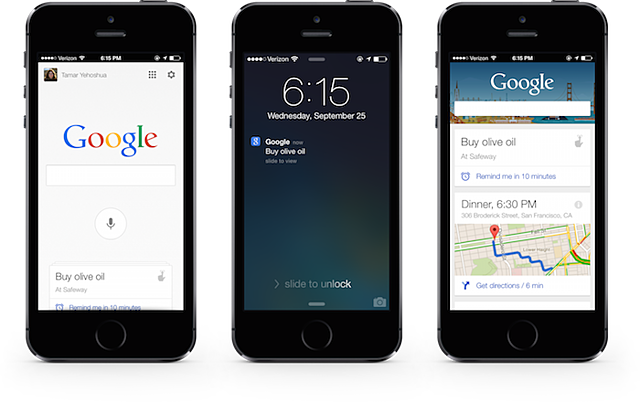 Go beyond your UX and think about how your users would want to engage outside of the app. What would a lapsed user find useful? It is much more useful to have a gameplan before you launch and then continue to optimize based on behavior. Learn more by reading our Life After Launch whitepaper, "CMO's Guide: What to Expect When You're Expecting... A Mobile App."